PocketPhonics teaches kids letter sounds, first words and handwriting. It is used in over 300 UK primary schools, and tens of thousands of homes. It follows the national curriculum, and independent research (see appsinmypocket.com/research) found children learnt nine times faster using PocketPhonics compared to a classroom lesson. We’ve also had coverage in the Daily Telegraph and Guardian. PocketPhonics is split in to 12 groups of letter sounds, each group is followed by a set of storybooks for those letter sounds. Kids read storybooks on the right level for them. The phonics levels are included in the price of this "basic edition", but the storybooks cost extra. PocketPhonics Stories (full edition) includes the stories in the price. In the first group of letter sounds, there are six sounds to master before the child will be able to read their first storybook. Most children aged 4+ start to read their first storybook within 10 weeks if they use the app for 15 mins everyday. Parents and teachers can easily monitor children’s progress online. Teachers and parents are emailed a certificate when a child completes a task. Children can tap an unfamiliar word in a story, and the app will sound out the letters to help the child understand what the word says. They can tap again to hear the word and see a picture that illustrates its meaning. As the child reads a story, the app tests whether they can read some of the key words. At the end of the story, it quizzes the child on all new words in that story. * The phonics levels are included in the price. The section of the app for parents and teachers is now easier to navigate. Schools can now change the group (class) the app is being used for much more quickly and straight from the adult menu. I highly recommend this app. My child enjoys using it and the app is very easy to use and engaging. I particularly like that you can choose an English voice or American voice for the pronunciation. You are able to personalise the style of the text and choose between upper and lowercase letters. Right or left hand for writing. My child finds it motivating when they receive a certificate or feedback from the program. When I had any difficulties/problem or didn’t understand something, the customer support was excellent. The developer was quick to respond. 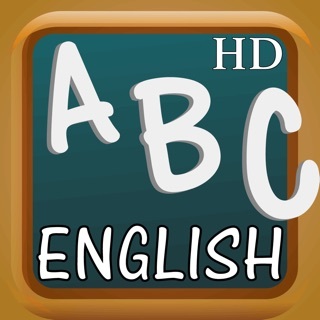 I purchased Pocket Phonics, PocketPhonic Stories and Dot to Dot letters and numbers. These compliment each other beautifully and are very educational and fun. Such an amazing app for little ones learning to read. My 3 year old grandson thoroughly enjoys his screen time with this very user friendly app. It has allowed him to become very confident with recognising and writing letters, so much so, that his nursery teacher remarked on his phonics knowledge. An added bonus of this app is the Weekly Progress Report, accompanied by printable Achievement Certificates which are awarded as each level is achieved - an exciting and proud event for little ones. After each set of phonics are mastered, there are accompanying ‘books’ to reinforce the learning, followed by new sets of phonics... books... phonics etc. All in all, I believe this app to be second to none. Also, another bonus is the very reasonable cost! Very pleased with this app. My twins like to draw around the letters and repeat the sounds. I have noticed a difference in their understanding in just a few days. It's fun and can be tailored to suit your children's level. When I contacted support for advice they give a speedy reply and answered all of my questions. I wouldn't normally spend money on apps but I upgraded from the lite straight away as it's worth it. It is ideal for my preschool children but with lots of potential to get much from it over the coming years.